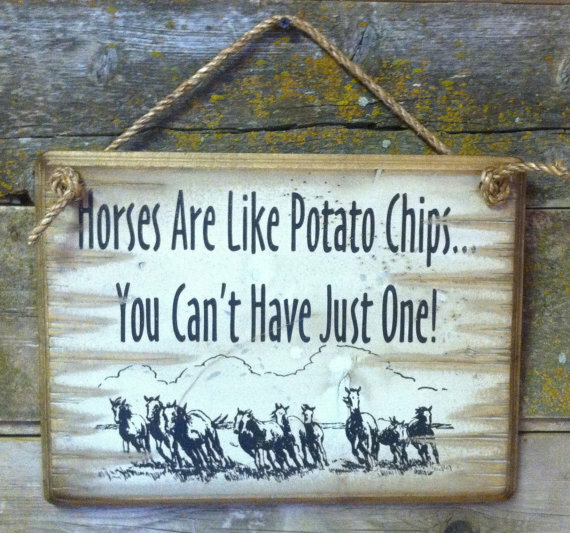 Horses Are Like Potato Chips… You Can't Have Just One! Maybe, just maybe this is true at your house?? 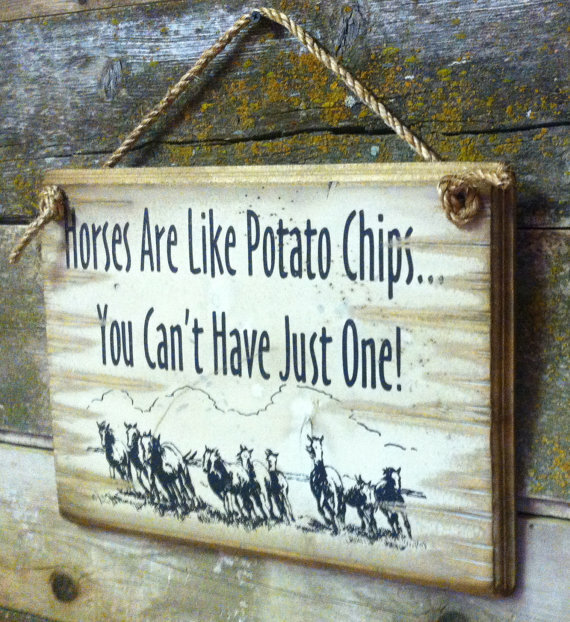 This humorous little sign measures 11x15 and has a white background. It comes with the grass rope hanger for easy hanging. Handcrafted with pride! 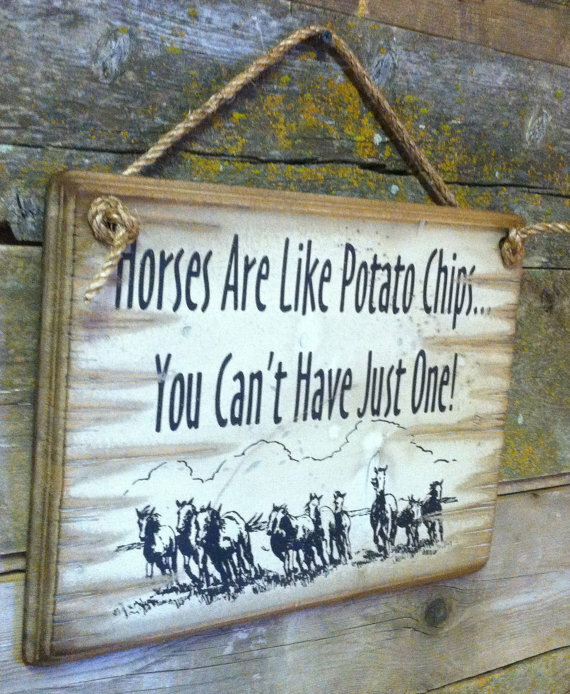 About Horses Are Like Potato Chips… You Can't Have Just One!